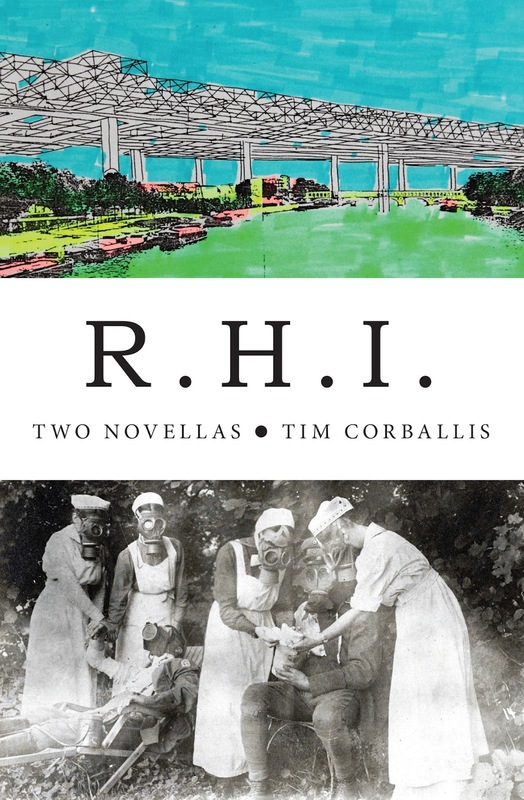 Tim Corballis's new book, two novellas, R.H.I. combines historical research with fiction to tell the story of two twentieth-century lives. Joan Riviere (the 'R' of the title) was an early English psychoanalyst and Sigmund Freud's translator. Herman Henselmann (H) was a German architect, famous for many of the post-war buildings of the German Democratic Republic. The two novellas about their lives form an incomplete history of Europe's twentieth century—its wars, politics and thought. Can you explain where and how these novellas started? When did you first learn about R (Joan Riviere) and H (Hermann Henselmann)? I’m not sure where I first learned about Riviere—I think it was in any essay by Adam Phillips, but it was a long time ago and I’ve completely forgotten the context! I think I kind of invented a significance for her that is probably different from her ‘objective’ significance. I became interested in the idea of someone who feels like she is a mask, and perhaps nothing behind the mask—and the idea of trying to sympathise with such a person. You know, the problem of understanding what is going behind the mask when the mask is also everything. That’s what interested me about writing about her. My interest in Henselmann is an easier story: he’s impossible to avoid in East Berlin, or at least his buildings are. Karl-Marx-Allee as it’s now known, formerly Stalinallee, is just around the corner from the flat that Creative New Zealand rents for their Berlin Writer in Residence. At first these things strike you, as a visitor from somewhere like New Zealand where monumental architecture and planning are really pretty unknown, as just big. But the Soviet inspired ‘socialist realist’ architecture is also pretty strange, so I was curious to find out where it came from. Once I’d read a bit about Henselmann, I became pretty interested in his situation—a believer in high modernism kind of forced to adopt the Soviet style, but he also I think was genuinely persuaded of it too, even though he then changed his mind again later… So it’s another kind of mask without interior I guess. Did the two stories always feel like they would be novellas or is this a conclusion you came to as you wrote? Is a novella just a shorter novel, or did you feel that there was something in the construction that sets your novellas apart from the novels you’ve written? The book about Riviere was always going to be a novella, initially part of a trilogy—but the other two projected novellas came to nothing. Henselmann was added later. In fact I did initially submit R to VUP on its own, but realised in discussion with Fergus that another companion novella would be good. From the start, though, I liked the structure of three (later two) novellas that speak to each other thematically. I’ve always, in my longer-form writing, thought in terms of structure: large movements or sections within a work, say, rather than chapters, plots, rising actions, climaxes, denouements. And I’m also interested in the juxtaposition of unrelated material—so juxtaposing materially unrelated, long-ish forms made sense to me. These works are different in so many ways from my earlier novels, that it’s hard to say whether length is really a factor in that difference or not. I’m currently working on a novel, and it shares a lot of features with the novellas, so maybe not. But I saw the novellas a kind of sketches I guess—not biographies, but small snippets of a life or a situation. That doesn’t justify much length. To lengthen them, to give them ‘novelistic’ arcs, would be to impose a fictional structure on them—something that’s done often enough, but I’m not really interested in doing it. I’ve added ‘fictional’—in the sense of ‘made up’—material in them, but I haven’t wanted them to conform to the expectations of the biographical novel that things will develop in a certain way, that there will be a meaning or a lesson to a life, etc. In your introduction you call yourself a ‘trespasser’ in history and biography and describe your expertise as an expertise of not-knowing. Is this what fiction can offer traditional historical interpretation, a messing-up, in a way, of History with a capital H? I hope so. Fiction’s a complicated word here though, since I think the danger behind much history writing is precisely that it hopes to give narrative coherence to events—to give it a fictional arc, a meaningful arc. Think of Belich, for example, whose histories of New Zealand always seem to end in the glorious present, in the moment of maturity and decolonisation. What a wonderful novel! Historians can be wonderful synthesisers of huge amounts of facts—but what’s interesting to me in these novellas is the possibility of letting facts remains unsynthesised, unshaped, stubborn, confusing. Maybe that can be called fiction too—though it’s a very different sense of the word. I hope it can open up the possibility that a life doesn’t need to be narrated to be valuable, to be enjoyable—that different things can be made out of a life than the stories we’re used to. Something like that, anyway. 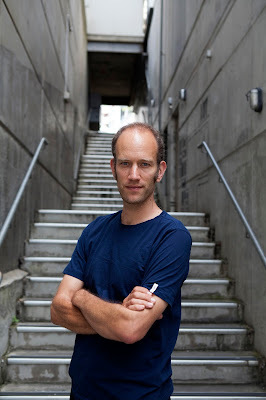 I think your approach to history – accidental – also begins to articulate your approach to fiction – a way of resisting the clear arc, the easily understood meaning of a story. How hard is this to do? Sometimes it seems to me that it is almost impossible to avoid ‘the arc’ in fiction or perhaps in any sort of story-telling. What do you think? I think you’re probably right. I mean, there are stories told in these novellas too. I do structure them in ways that interrupt a more expected narrative arc—and of course I’m by no means the first to do that. Even a non-story could be read as a kind of story, anyway, whose meaning is ‘there is no meaning’… so sure, it’s hard to avoid. Maybe it’s partly about how a reader comes to the work too? That’s partly why I liked the idea of an author’s note: something that can kind of prime a reader not to want to understand everything, to allow the form of the work to be true to the difficulty of understanding the world. I guess the main thing I would want to avoid is the need to understand—I want to give not understanding its own forms of pleasure. 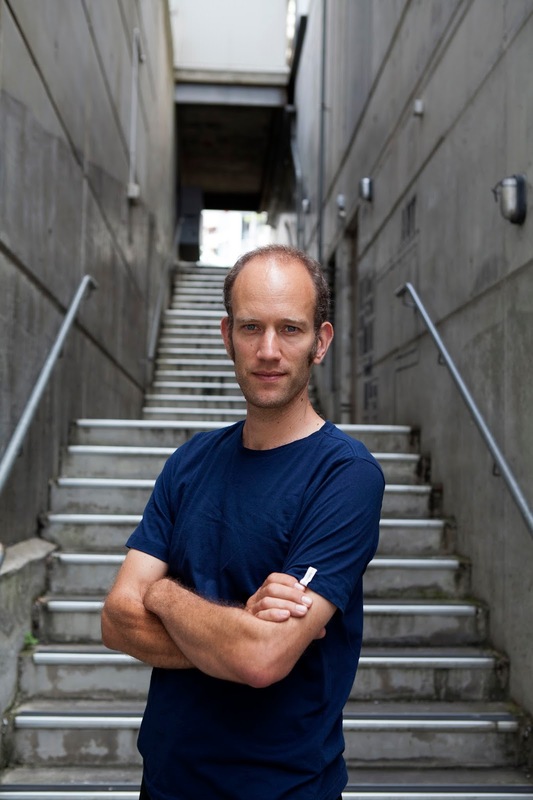 You have a clear aesthetic statement about your novellas – you say that they’re an Antipodean form, and that their form is a form for the internet age. Can you explain these statement a little more here? The relationship of the Antipodes to somewhere like Europe—and I guess other places too, partly just by virtue of distance—is that it’s very easy to take stuff out of context. We read European books here without knowing well the very dense worlds of thought and argument and politics that they come from. I’m thinking partly about the histories of psychoanalysis and communism that I write about in R.H.I.—these were never strong public movements here, and they certainly aren’t now, so these bits and pieces of history can seem here like they’ve come from outer space. They’re totally out of any context that can give them their full meaning. I like that we can then pick them up and make something new out of them. There’s a freedom in forgetting all that dense culture, but taking its tokens and ideas, thanks very much, and constructing something. The internet is another name for all that. It’s a name for the way information can so easily float free from its context—and for how impossible it is ever to have a view of all the information out there. It inevitably comes in the form of bits and pieces, snipped here and reported there. So the process of making something—this resembles ideas of sampling and remixing, but has an older heritage too—that’s interesting to me. Maybe its a way of coping with that big world without needing an overarching story… Instead you pick up its flotsam and jetsam, stick them together, and hope that the result is a partial view, sensitive to what’s out there, but not summarising of it. You’ve been writer in residence at the IIML this year – how has the year gone for you and can you tell us something of the project you’ve been working on? The year’s been very productive so far. For the first time in years, I’m finding my writing day very long—even, sometimes, too long! That means I’m kind of loading myself up with projects. The main thing is a novel with a time travel premise, which should be complete at least in draft form by the end of the year, but I’m also working on various essays and a project that starts with interviews of a small handful of Victoria academics. R.H.I. will be launched at 19 Tory St this Wednesday 19 August. 5.30pm–7pm. All welcome. R.H.I. is in all good bookstores and the VUP online store now.